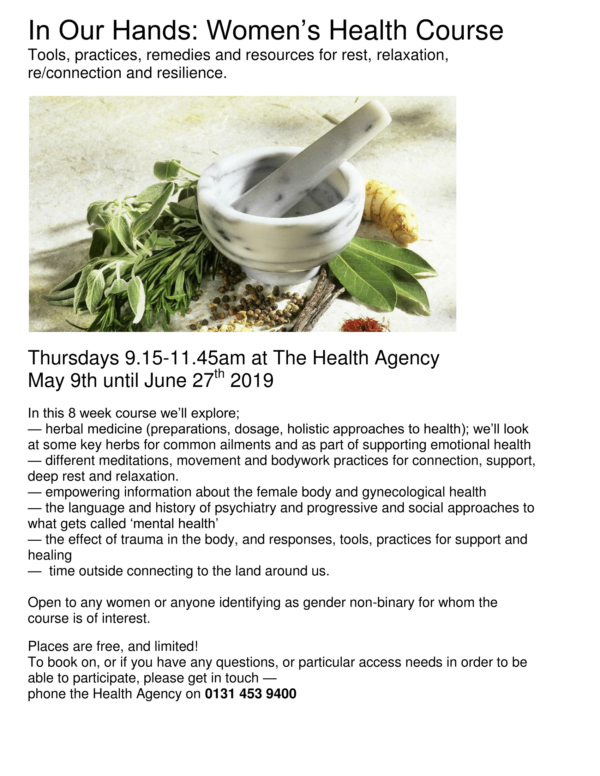 In Our Hands a new Women’s Health Course exploring herbal medicine, meditation and empowerment will be running at the Health Agency from Thursday 9 May to 27 June 2019. The course is open to any women or anyone identifying as gender non-binary for whom the course is of interest. The course is free but spaces are limited. To book your place or if you have any questions contact the Health Agency on 0131 453 9400.